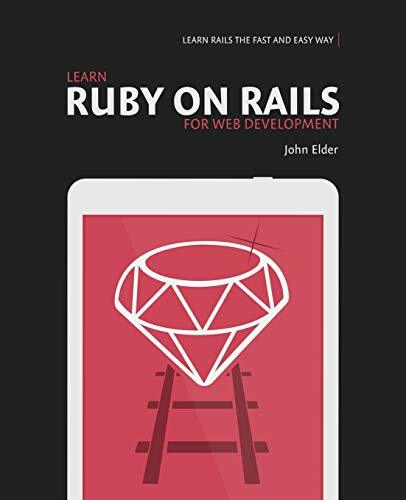 [PDF] Learn Ruby On Rails For Web Development: Learn Rails The Fast And Easy Way! | Free eBooks Download - EBOOKEE! [PDF] Learn Ruby On Rails For Web Development: Learn Rails The Fast And Easy Way! Description: Learning Ruby on Rails has never been this fast and easy, or fun! Veteran Codemy.com programmer John Elder walks you step by step through the ins and outs of Rails for Web Development. Written for the absolute beginner, you don't need any programming experience to dive in and get started with this book. Follow along as John builds a Pinterest-style website from start to finish that allows people to sign up, log in and out, edit their profile, upload images to the database and style those images on the screen. By the end, you'll be well on your way to becoming a professional Ruby on Rails coder! No comments for "[PDF] Learn Ruby On Rails For Web Development: Learn Rails The Fast And Easy Way! ".